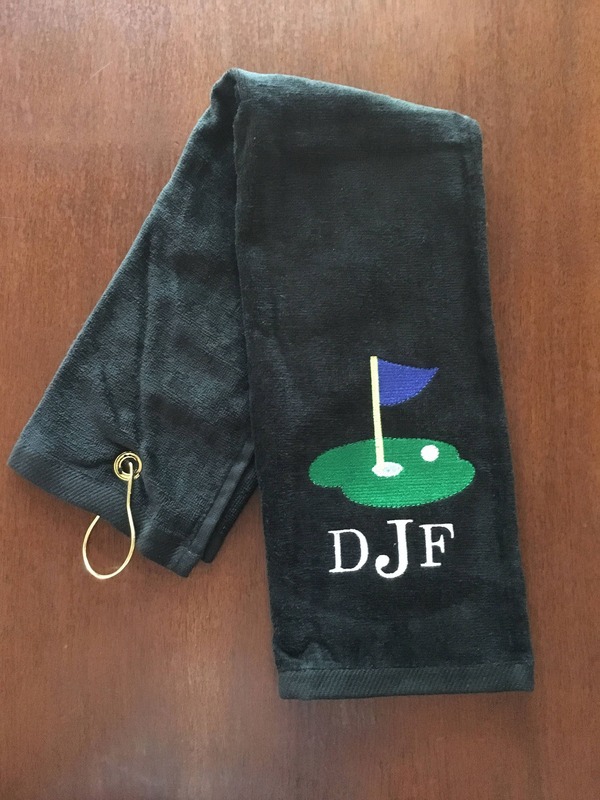 Monogrammed towels in single or trifold golf towels make great golf gifts. 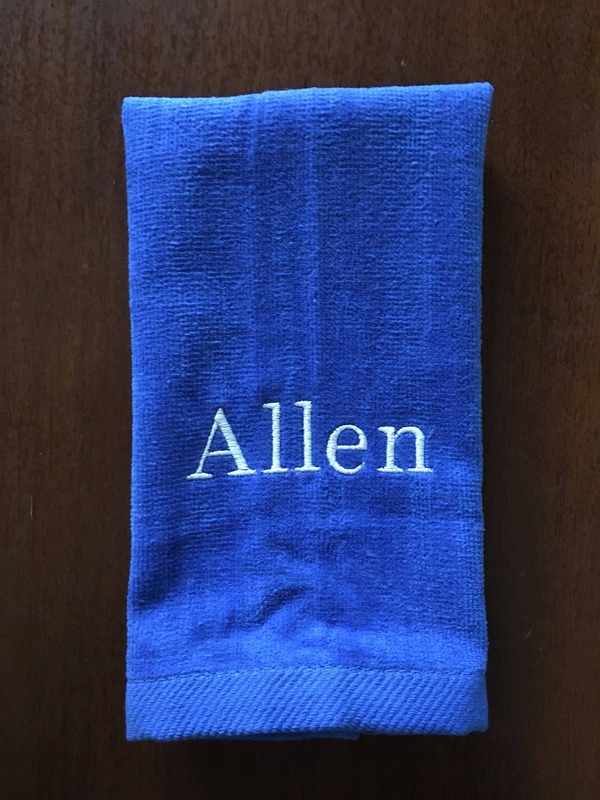 Personalized golf towels make great thoughtful gifts. 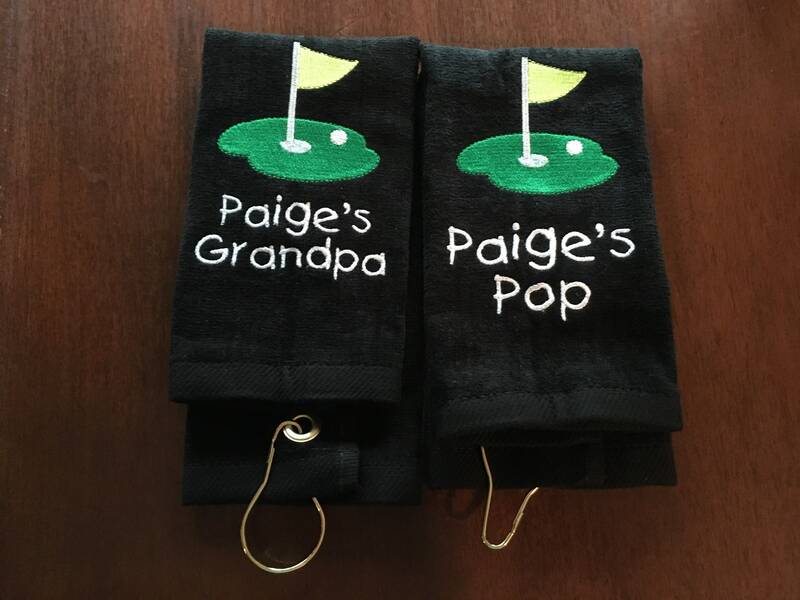 Perfect gift for school golf teams to tell golf bags apart. 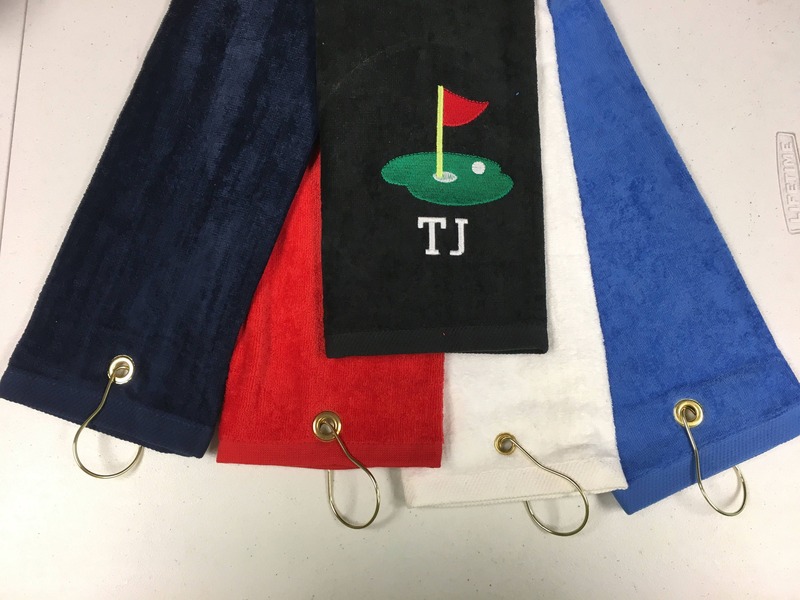 Make sure to list towel color, flag color, name or words and its color. I can order the color of your choice. 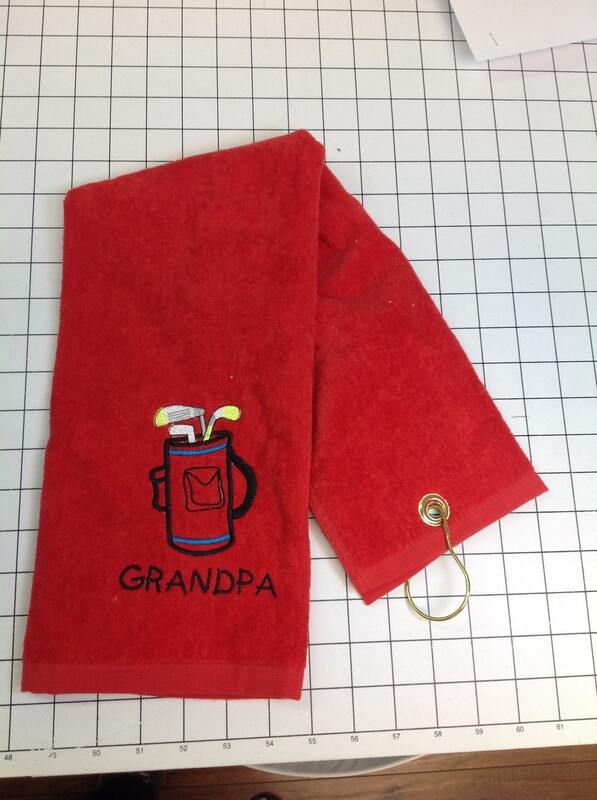 Message me for turnaround time on special orders. Please be sure to list design, name, colors, school or words of choice. 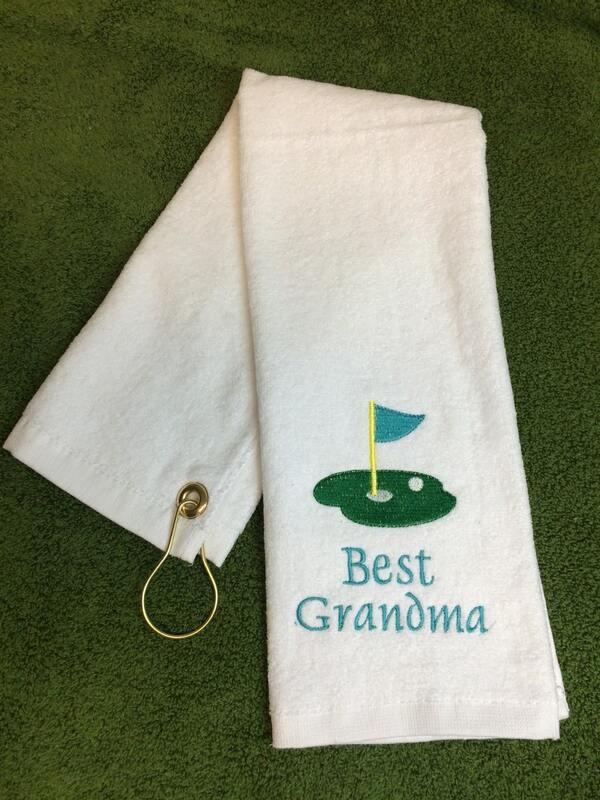 Any design you see in my shop can be used on these towels. Same price. 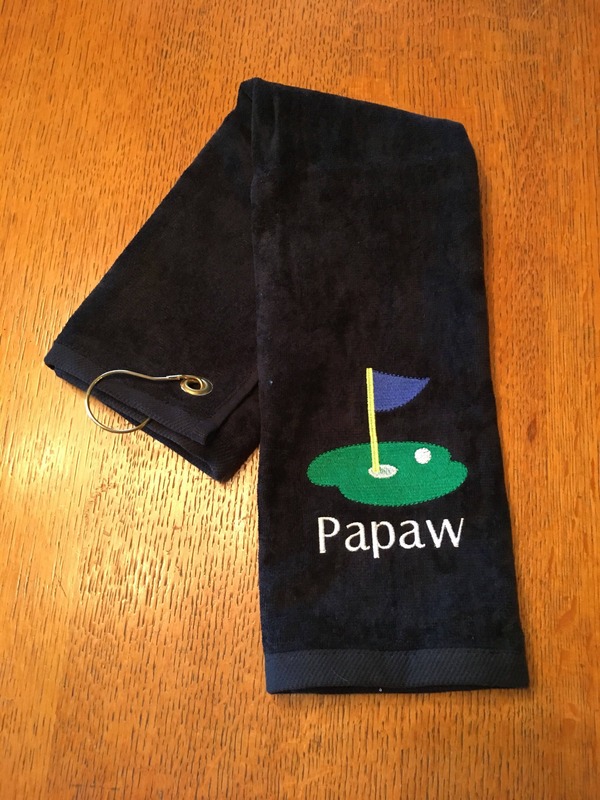 We have one happy grandpa at home!!! Thank you so much! It was absolutely wonderful! 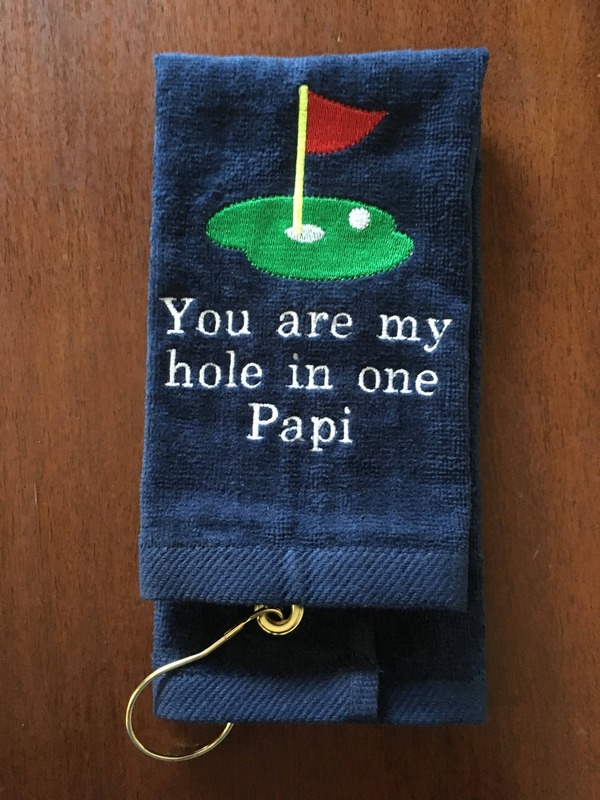 This was a gift for my dad. 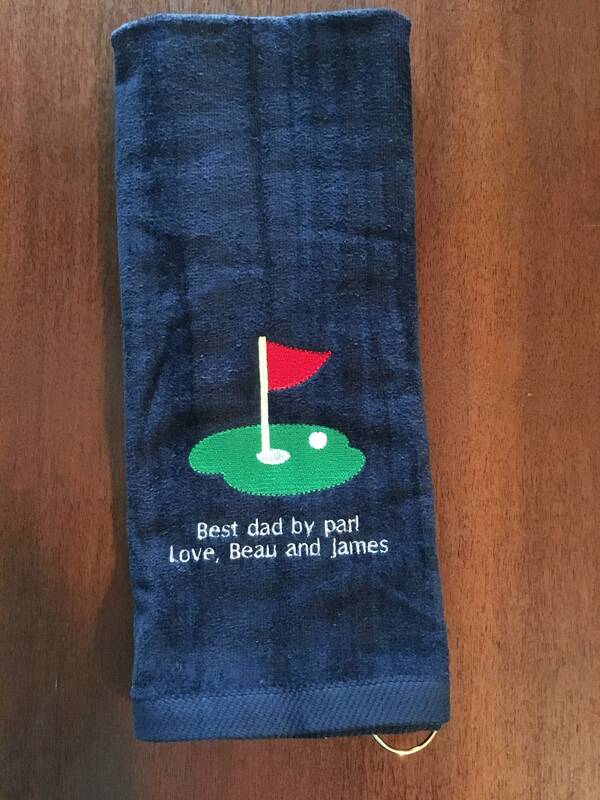 I didn’t get to see it in person but he said it was awesome and great quality! Quick turnaround too! Thank you! 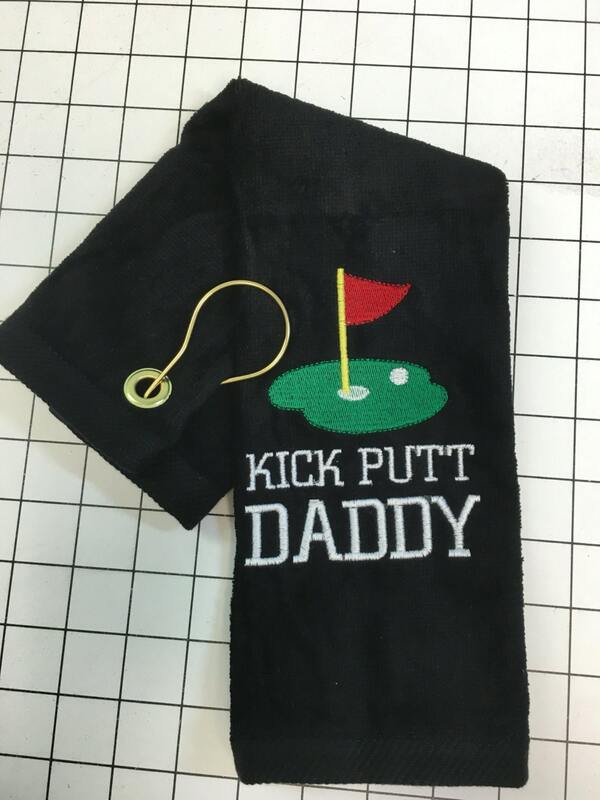 So cute and quick to ship!